All Sport Printing has access to thousands upon thousands of fonts. Here is a small sampling of some popular fonts just to get an idea of whats available. 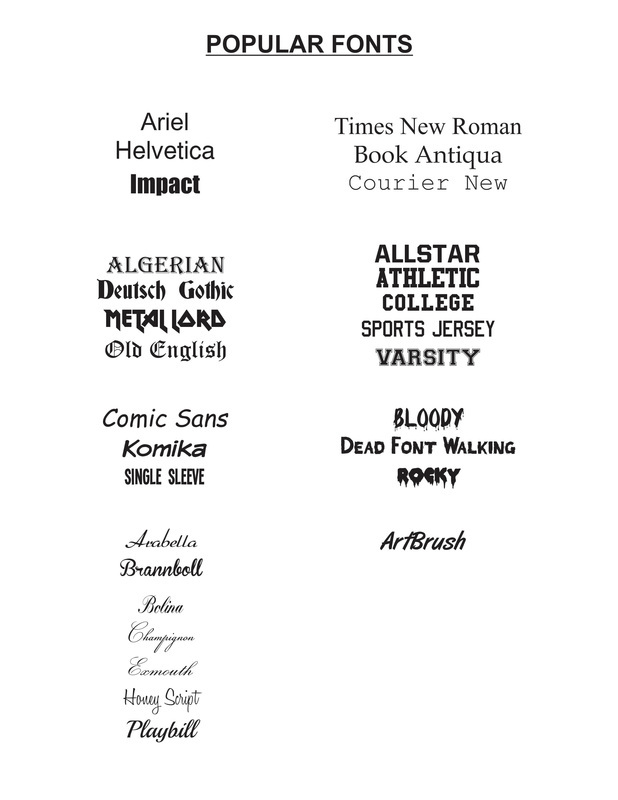 These fonts can be used in the design of your artwork, screen printed on tshirts, embroidered on polos, heat pressed on team jerseys and a bunch of other applications. If you don't see something you like here, a great source for more free fonts is Dafont.com.